BATAVIA, N.Y. -- In May, the Board of Trustees at Genesee Community College approved the new Strategic Plan that will help guide the College through the next five years at all levels. From academic program developments to the investments in teaching and learning technology, hiring new employees to facility improvements-both large and small decisions are all guided by the Strategic Plan. 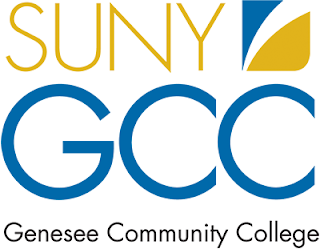 The shape of GCC's future at all seven campus locations in Genesee, Livingston, Orleans and Wyoming (GLOW) Counties, as well as GCC's Online Learning, ACE Program and even developments at College Village will all be governed by the Strategic Plan through 2023. "Framing Our Future" is the theme of the new plan and the comprehensive planning process began in 2017 with the establishment of a 32 member Steering Committee co-chaired by Professor and Program Director of Social Sciences, Tim Tomczak and Dean of Distributed Learning, Craig Lamb Ph.D. Their combined efforts included a careful examination of the prior plan's priorities and progress, an online open input form, seven forum sessions scheduled across the GLOW region and involving over 150 participants, 500 surveys, more than 1,000 ideas, suggestions and recommendations from the College and community, and thousands of pieces of data. "Framing Our Future is an essential management tool that drives our programs, budgets and operations. But simultaneously, it is also an embodiment of the aspirations we hold for our students, fellow colleagues, friends and neighbors," GCC President James Sunser said. "I invite the entire community to review this important document and our core objectives which we have published online for easy access. We hope the communities that GCC serves will join us in harnessing the power of the future."